♦ Pressure Sensitive Self-adhesive Type of Label. 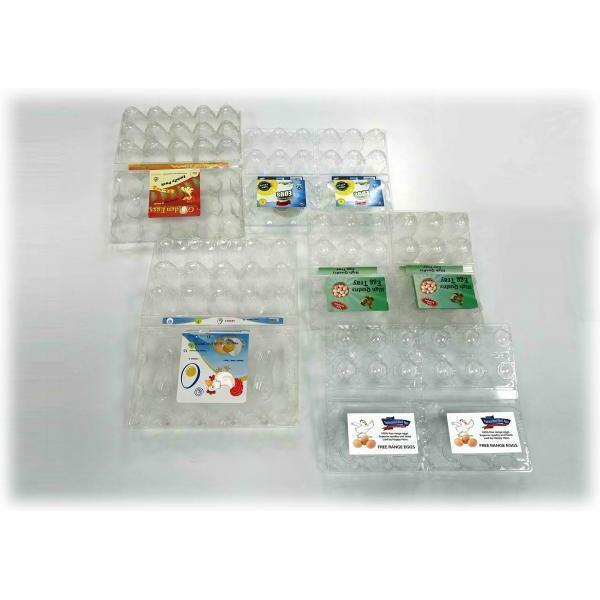 ♦ For Plastic Vacuum Formed/Thermoformed Egg Box/Carton/Tray. ♦ Automatic Continuous Supplementary Feeding. ♦ No Need to Stop the Machine For Re-filling. ♦ Automatic Pre-Set Batched Quantity Seperation. ♦ Batched Quantity Automatic Collecting System. 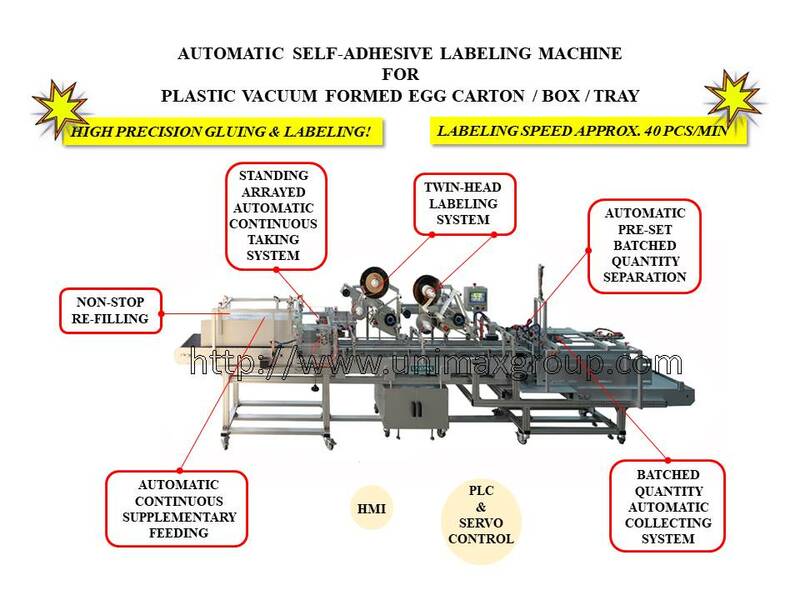 ￭ Batched Quantity Automatic Collecting Model:• Labeling Speed: Approx. 40 Pieces/Min. • Labeling Product: Lay-Flat 145 ~ 150 (L) * 220 (W) mm. • Main Label: Max. 200 (L )* 160 (H) Included Base Paper. • Strip Label: Max. 200 (L) * 13 (H) Included Base Paper. • Label Roll: ø 300 (O.D.) * 76 (I.D.) mm. • Machine Size: Approx. 5000 (L) * 900 (W) * 1450 (H) mm. • Japan "MITSUBISH" PLC Control System. • Japan "YASKAWA" Servo Motor Control System. • Interfaced 10" Colorful HMI Touch Screen Monitor. • Label Sensor: "SICK" Optoelectronic Sensor. • Product Detect Sensor: "OMRON" Optoelectronic Sensor.• Equipped with 4 sets High Precision Servo Motor. 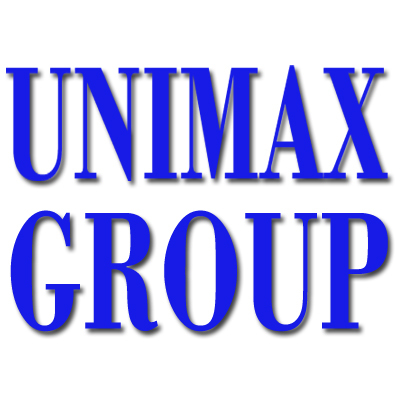 UNIMAX GROUP plastic & packaging machinery department offer a wide range of plastic processing, labeling, assembly, lining machines and packaging automation for different industries. The tissue paper machinery department offer superior converting, wrapping and packaging machines for tissue industry.